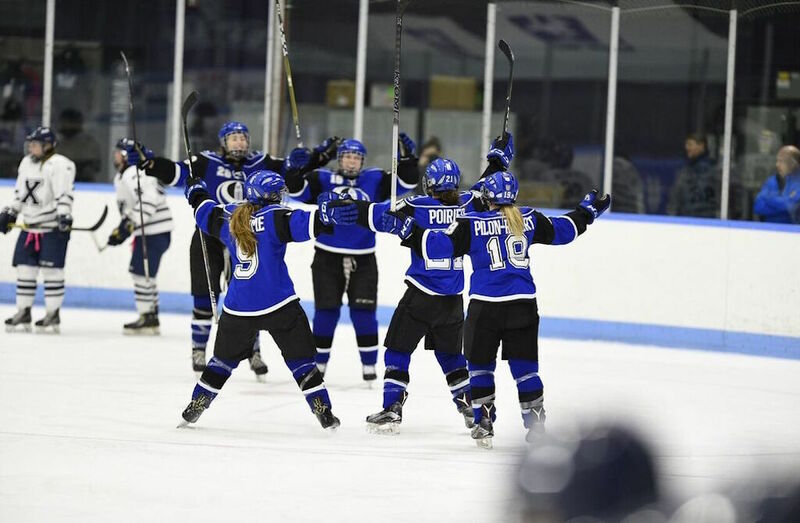 The Montreal Carabins finished fifth in the nation after a 7-1 win over the StFX X-Women in the consolation final on Sunday morning at the U SPORTS Women’s Hockey Championship at Thompson Arena. Montreal had five different goal scorers, with Kim Poirier registering two goals and Annie Germain notching a goal and an assist. 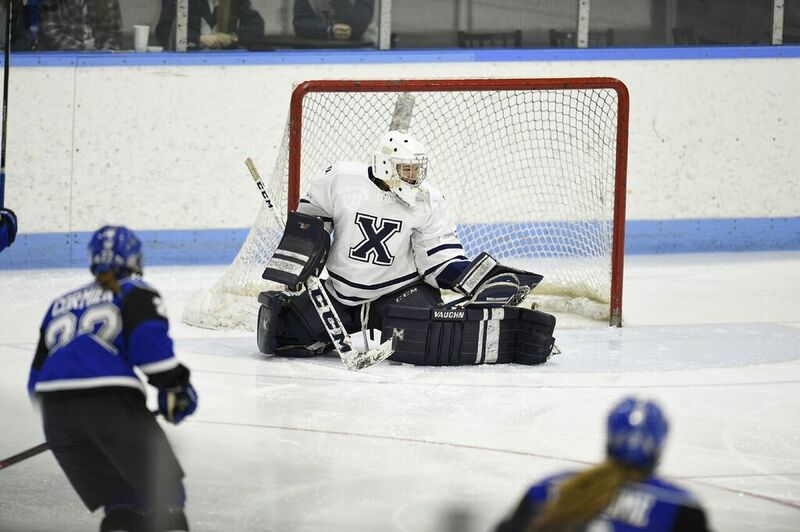 For the X-Women, Lydia Schuman had the lone goal. The Carabins came out strong to start the game, generating plenty of opportunities in front of the StFX net, leading with 12 shots to StFX’s seven. Despite the Carabins’ commanding presence, it was the X-Women who got on the scoresheet first, when Alley Goodreau slipped the puck past the Montreal defender to Schuman who was waiting at the doorstep, flicking it over the pads of Marie-Pier Chabot for the 1-0 lead. Although the X-Women escaped the first period with a 1-0 lead, it would not stay that way for long. After a 5-on-3 from the first period rolled over to start the second, Montreal made quick work, tying the game just 27 seconds into the frame when Poirier blasted it home from the point. The goal opened the floodgates, with the Carabins exploding for three goals in less than 90 seconds just six minutes later. Montreal took the lead on a shot from the point, with the rebound trickling out for Alexandra Boulanger to pounce on, and fire the puck home. Emmanuelle Passard got on the board 47 seconds later, when Montreal cycled the puck behind the net. Marie-Pier Dube passed the puck from below the goal line to Passard who was waiting in the slot and sent a one-timer over Carley Molnar’s glove to extend the lead. 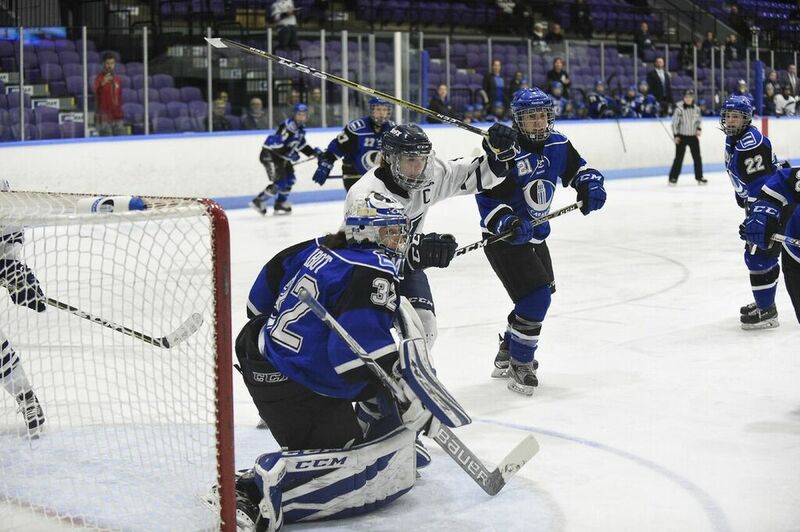 Laurie Mercier contributed to the Carabins offence next, scoring off of a wraparound play to put her team up 4-1. Germain was next to get on the scoresheet, skating through four different StFX defenders to unleash a wrist shot top shelf. Poirier notched her second of the night when a scrum in front of the net screened Molnar, allowing Poirier to tap the puck in amidst the confusion, making it 6-1 at the end of the second period. The Carabins added another goal in the third before lock things down defensively and preventing StFX from registering another point, skating away with the 7-1 win. “The first game here we didn’t get the outcome we wanted, but our goal was to win and to play on Sunday and to get the fifth place, and I’m just as happy to finish here with two wins,” said Chabot. 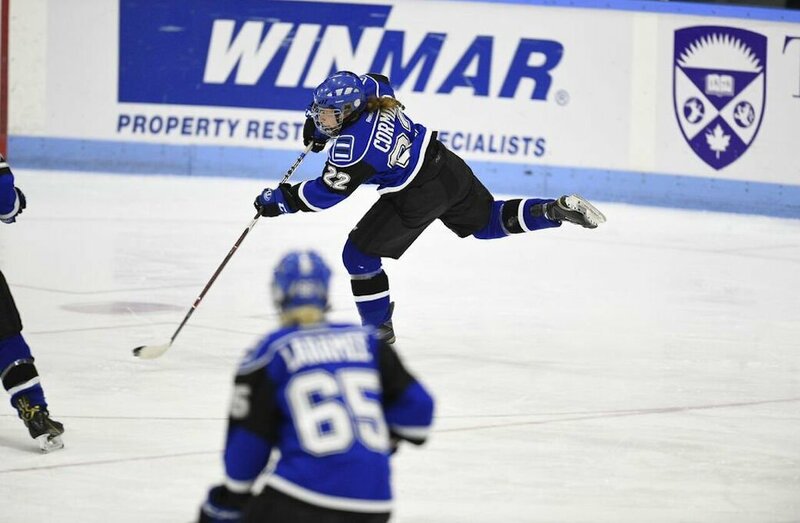 The Carabins wrapped up fifth place in the country with the win, while the X-Women nabbed sixth, both improvements over last season. 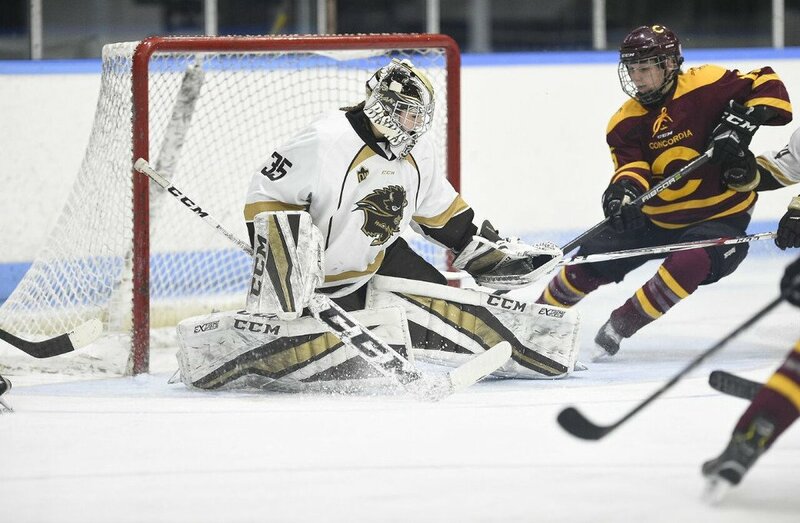 The U SPORTS Women’s Hockey championship continues throughout Sunday, with the bronze medal game between the Saskatchewan Huskies and Concordia Stingers, before concluding with the national champion between the No.1 seed Manitoba Bisons, and the host Western Mustangs.